When you add posts and in your WordPress site, Google will take some time to crawl new post and page links. Google needs the same time to crawl updated URLs of your WordPress site. A post or page should be indexed in Google, but you can’t find it. The first two options described above, you can automate this process by using XML Sitemaps. The Google is too good for indexing websites because it’s their business. We have seen specific pages are missing from Google. We just ask Google to recrawl urls for showing in search results. Take a look on this tutorial how to ask Google to recrawl URLs of your WordPress site and show them in the search results. How you can ask Google to Recrawl URLs of Your WordPress Site? First you need to get your WordPress site listed on Google and then Google will automatically start crawling your URLs. You request Google to recrawl your new link for any of the above cases. 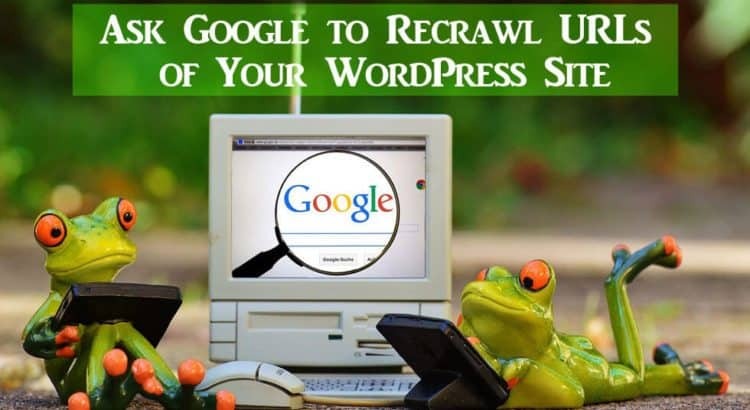 Follow our step by step guide to request Google to recrawl URLs of your WordPress site. The best URL inspection tool is available in the new and updated Google Search Console (also known as Google Webmaster Tools). This tool helps you identify issues related to your website URLs and provides solutions to index your links in Google search. This will also help you solve common WordPress errors for your URL and other indexing issues. In the Google search console, you require to select your property or website to check the URL index status. After selecting the property, you will have to go to the URL inspection tool on the left menu and add your URL to the search field which you want to inspect. 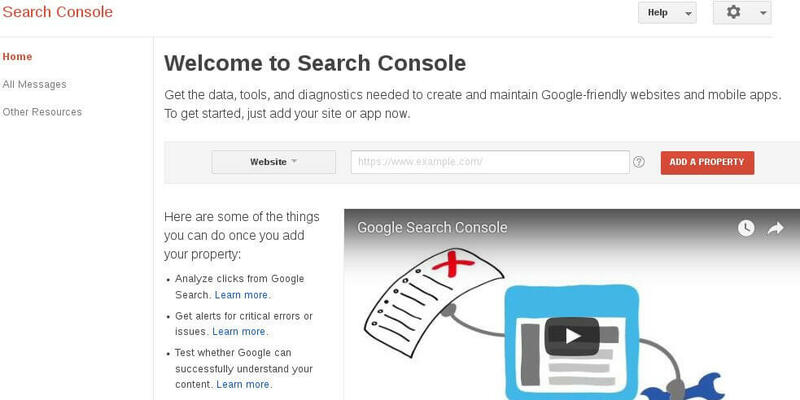 This will get data about your URL and show it in the Google Search Console Dashboard. If your URL is indexing on Google, you will see a successful message with helpful information about your link. If your site link is not on Google, it will show you errors and possible solutions to Google to index your URL. If you are not sure about indexing your links on Google, you can submit an updated XML Sitemap with your new URLs on Google Webmaster Tools. 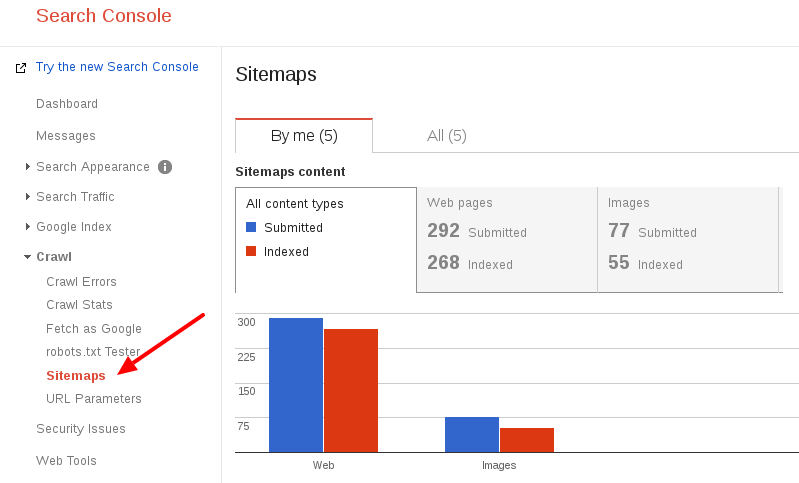 Sitemap is the fastest way to index your new URL on Google. Yoast SEO plugin is the best option to generate XML Sitemap. Login to WordPress admin area, then you need to go to SEO » General. 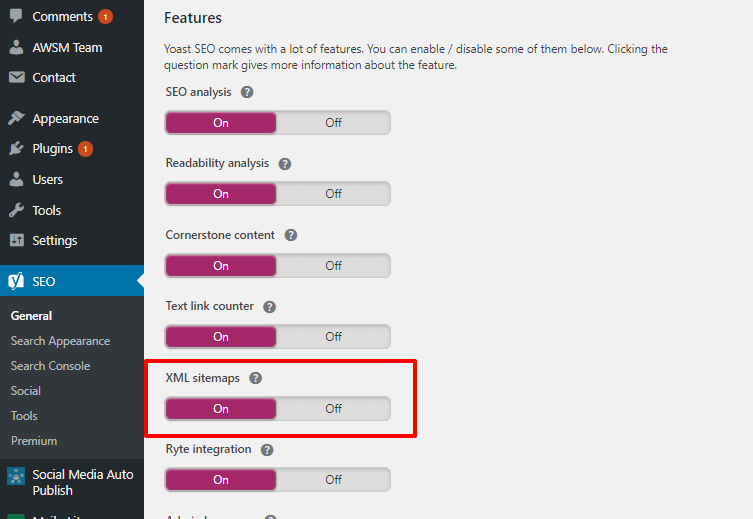 Under the Features section, you require to turn on the XML sitemaps setting. Login to WordPress admin area, then you need to go to SEO » General. Under the Features section, you require to turn on the XML sitemaps setting and click on the Save Changes button. You can see the updated sitemap by clicking on the question mark icon next to the XML Sitemap title. If your new links are appearing in this Sitemap file, then you can proceed and submit it to Google Webmaster Tools. To submit an XML Sitemap, you have to go to the new Google Search Console and click Sitemap on the left menu. Add XML Sitemap link and click the submit button. A new updated Sitemap will ask Google bots to quickly recrawl your new URL and display it in search results. I think this article helped you learn how to ask Google to recrawl URLs of your WordPress site. You can see our ultimate guide on WordPress SEO 2018 – How to Control Search Rankings This Year.